Roll up a taste of America into these bite-sized morsels of flavour! 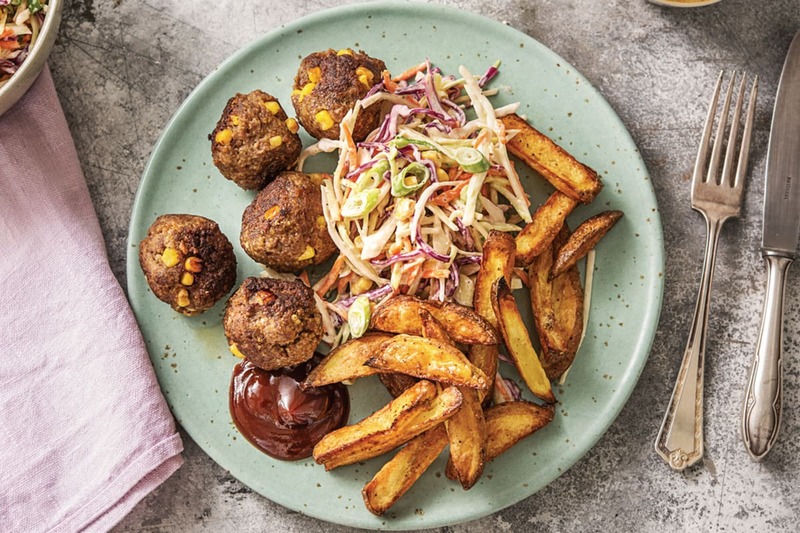 Studded with corn kernels and served with a creamy slaw, potato fries and smokey BBQ sauce for dipping, this is a moreish meal that will have you hooked! Preheat the oven to 240°C/220°C fan-forced. Slice the potatoes (unpeeled) into 1cm fries. 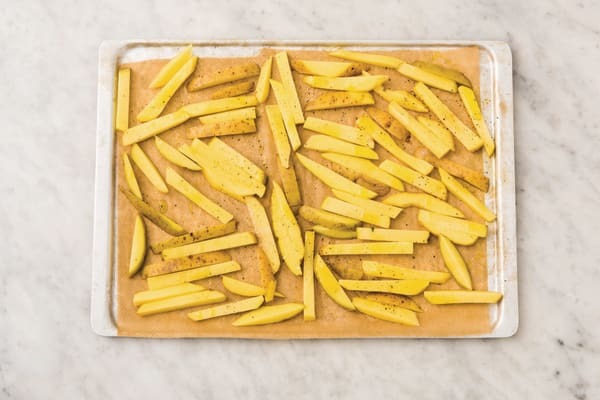 Place the potatoes on an oven tray lined with baking paper, drizzle with olive oil and season generously with salt and pepper. 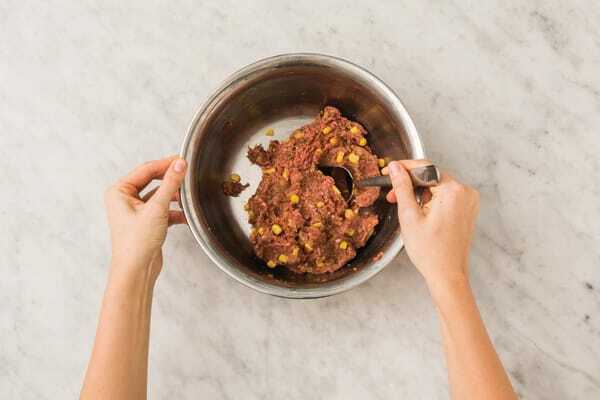 Toss to coat and spread out in a single layer. Bake for 25-30 minutes or until tender. TIP: Cut the potatoes to the correct size so they cook in the allocated time. While the fries are baking, finely chop the garlic (or use a garlic press). 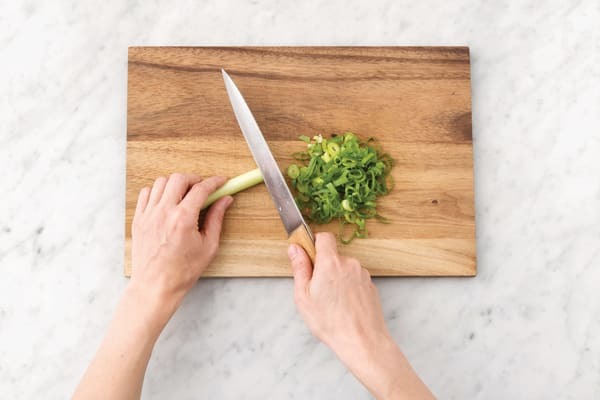 Thinly slice the spring onion. Drain the sweetcorn. When the fries have 10 minutes cook time remaining, heat a drizzle of olive oil in a large frying pan over a medium-high heat. 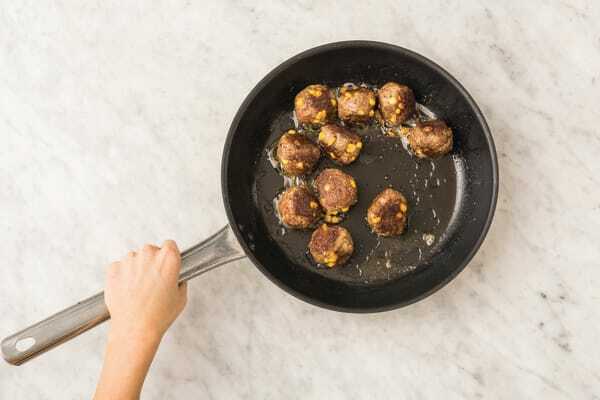 When the oil is hot, add the meatballs and cook, turning regularly, for 4-5 minutes, or until browned. Reduce the heat to medium and cook, tossing occasionally, for a further 4-5 minutes until the meatballs are cooked through. While the meatballs are cooking, add the slaw mix, garlic aioli, spring onion and remaining sweetcorn to a medium bowl. Before serving, toss to coat and season generously with salt and pepper. 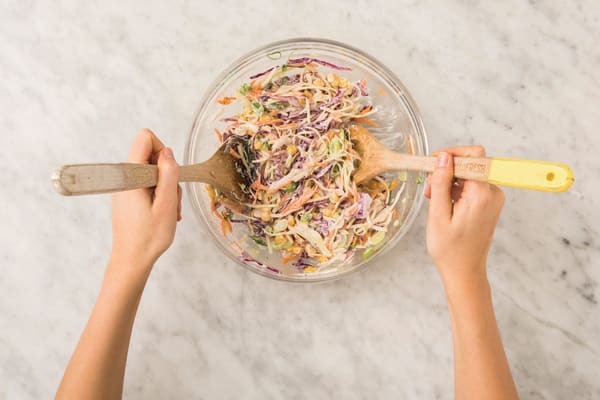 TIP: For the low-calorie option, omit the aioli and dress the salad with a small drizzle of olive oil and your favourite vinegar. 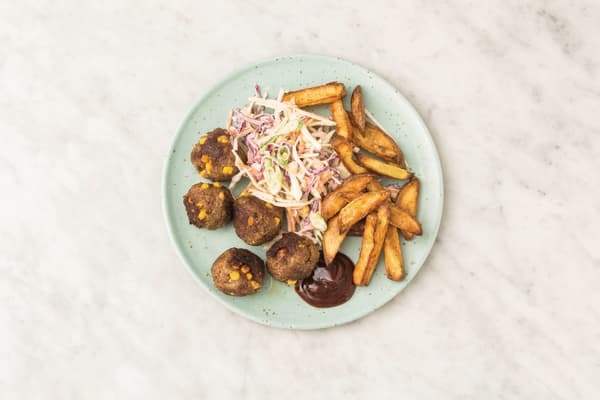 Divide the fries, American beef meatballs and slaw between plates. Serve with the BBQ sauce.